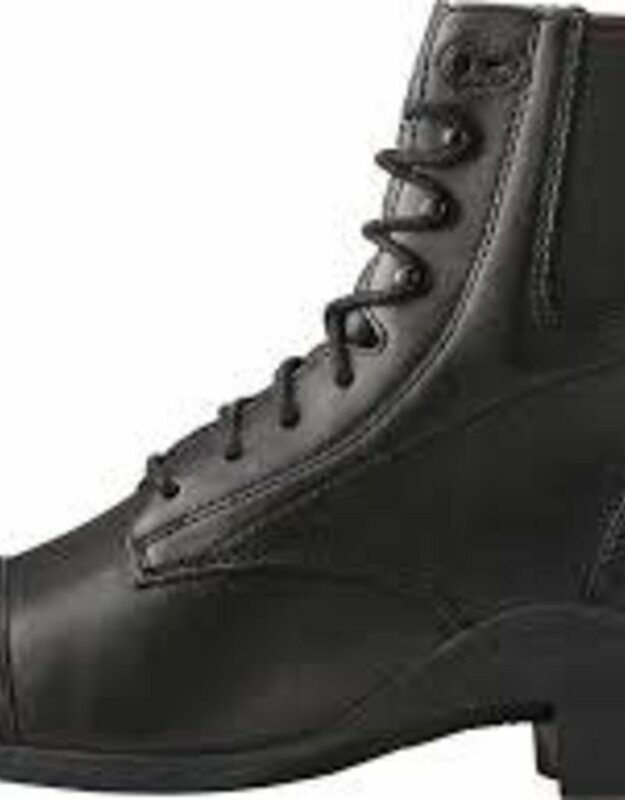 The most advanced performance footwear technology is built into this lace-up paddock boot. Handcrafted from waterproof premium full-grain leather, with locking speed lace hooks and lace lock at the top to keep laces in place. Ankle flexion notches and a dual stretch gore fit system at the topline maintain the boots slim and secure fit. Ariats Cobalt VX technology delivers temperature management, advanced support and enhanced flexibility; and the Duratread outsole holds its position in the stirrup. 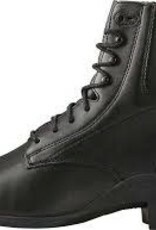 And the X-static lining in the footbed is just another unique feature of this boot. Leather lined on the inside and finished with a punched toe cap and spur rest.